Sultan goes past Dhoom3 (284 cr). Is now ALL TIME third highest grosser ever after PK and Bajrangi Bhaijaan!! Kabali weekendIndia Gross Collections 125Cr, Overseas 85Cr, Total Gross collections 210Cr. All India n all languages Weekend Collections of Kabali Day1 48Cr+ Day2 30Cr+ Day3 30.50Cr= 108.50Cr. It’s a record. Ranveer and Deepika won’t shoot a single scene in Padmavati together? Bipasha Basu and Karan Singh Grover to host a Television show together? 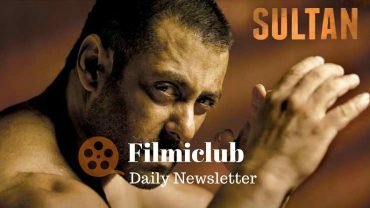 Sultan gathered speed yet again on Sat and Sun… [Week 3] Fri 2.14 cr, Sat 3.81 cr, Sun 5.14 cr. Total: 289.05 cr. India biz. Garam Masala’ actress Neetu Chandra bags role in American TV series!